Moving abroad? 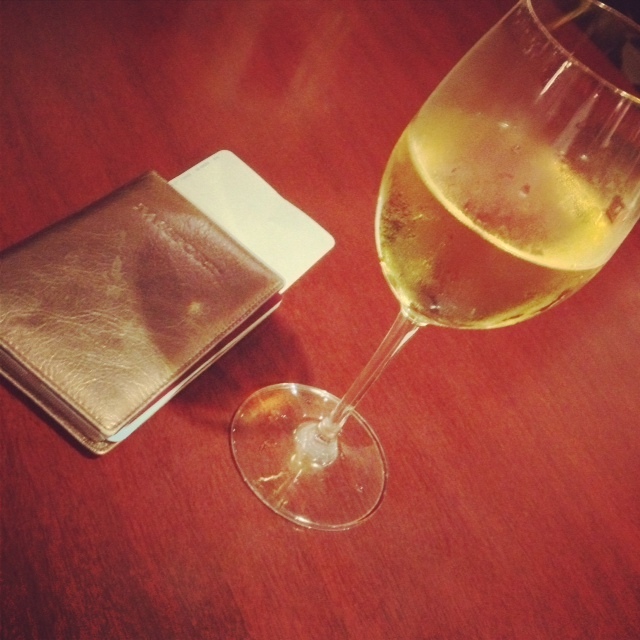 If you’ve gotten as far as the departure lounge – have a glass of wine. You deserve it. Having taken the plunge and moved from London to Singapore in 2012, I’ve had a lot of questions from friends and family about how I’ve found adjusting to life in another country. Well, I can tell you that moving abroad isn’t easy. And believe me, even though it might not feel like it at the time, packing, organising logistics, booking flights and finding a new home is the easiest part and just the tip of the relocation iceberg. From my personal experience from my move, I thought it would be helpful to share some practical tips to consider when moving to another country in order to make your transition as smooth as possible. 1. Explore your new home. This is undoubtedly the most exciting part of your journey in this new chapter in your life – getting to know your new surroundings! If you already have a job, plan ahead with your employer so you have a week or two off between relocating and starting work – you will want the time for unpacking and playing tourist. If you haven’t already found your new pad, it is achievable, but it requires a lot of effort, headache and countless viewings. I came here with a partner for 2 weeks and we lived out of a hotel whilst I had to find a flat for us in that time. Thankfully, Singapore is a small place which helps getting around fast and I’m pretty fierce when dealing with estate agents so this was achieved, however, I would strongly advise sorting this out before hand if you can to save you the stress. When in a new country, there is nothing more important than making the effort to experience the culture and local way of life. From trying new foods, eating in local restaurants and cafes to learning about local customs and a new language, all of these things will help ease the integration process and your familiarity with a place you are going to settle down in for a considerable amount of time. I’ve always found it a shame here in Singapore when I meet groups of expats who socialise solely with other expats and live in their own communities, and seemingly have no interest whatsoever in getting to know and befriend local people. Sometimes, this comes down to bad attitude, and otherwise, to just pure ignorance. Either way, don’t let this be you. I’ve had the privilege of working in an all-local PR agency and have learnt so much from the valuable experience – about myself, another culture and my own outlook and perspective on life. Some view the term ‘networking’ as a vulgar term, conjuring up all sorts of images of fakeness and bitchy stares across the rims of wine glasses. Well, those were my initial thoughts. But I’ve since learnt that networking is a valuable opportunity to meet and interact with other like-minded people. From public events to career fairs, be proactive and make the effort to strike up conversation with others, particularly if you are on the career hunt in a specific industry. You never know who you will meet and what wonderful relationships you will establish, be it for business or friendship. Making yourself known is especially important if you are on the job hunt in a new country, and today you are spoilt for choice with so many free online tools available at your disposal. Get a LinkedIn profile and consider it your public, online C.V. Tend to it like you would your eyebrows, keep it updated obsessively at all times with your new achievements. Search for and connect with other people in your targeted industry. Get knowledgeable about your topics of interest and discuss them in forums with other like-minded netizens. Brand yourself further with Twitter and Facebook and share your profile. If your feeling lost, disorientated and in despair, seek advice from other people that have been in your position. Since moving to Singapore, I’ve found that people are genuinely open and approachable and more often than not will empathise and relate to your situation. And finally, the lesson I’m continually having to remind myself of. Have patience. Rome wasn’t built in a day, neither will your new home feel like ‘home’ nor will you land your dream job straight away. Remember that no matter how well you plan ahead, things are bound to go off track, and unforeseen circumstances will occur to throw you off course. Guaranteed. When these things do happen, don’t beat yourself up about it, but persevere, have tenacity and move on to the next step. After all, you won’t reach your goals if you give up at the first hurdle. If any of my readers are actually moving abroad, (particularly to Asia!) I’d be happy to share more about my experience, just drop me an email at afashionableleo@gmail.com. Good tips! I'm moving to Thailand in a few months and will take some of the advice on board.